What is the New Wi-Fi EasyMesh Standard? Wi-Fi EasyMesh and what to expect? Today everyone has a need to stay connected to the internet. For that purpose, we have mobile data and Wi-Fi systems at our disposal. In cases when there is Wi-Fi, sometimes we find that we don’t get the same coverage everywhere and why would you too? The closer you are to a router the better the Wi-Fi. That’s where mesh Wi-Fi s come in. Wi-Fi EasyMesh allows you to get the same coverage no matter where you are in the vicinity of a router. A mesh Wi-Fi system is where you connect devices or routers from the same manufacturer to get the same reception throughout the place irrespective of where you are in relation to a router. What happens when you want to use different manufacturers devices to create one mesh? 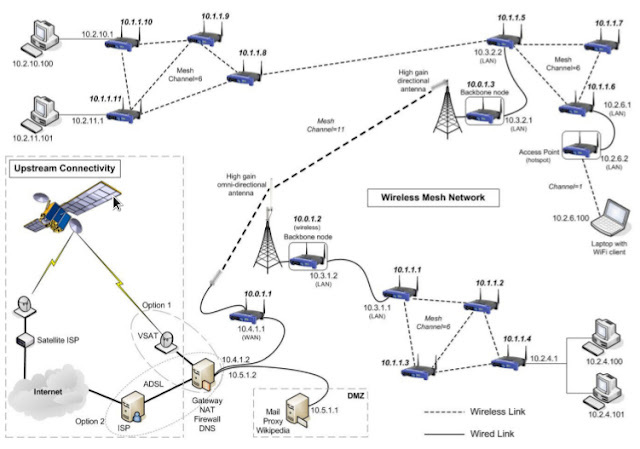 That’s where Wi-Fi EasyMesh steps in. Wi-Fi EasyMesh is a mesh system where you can connect any manufacturer’s hardware in the house together to get Wi-Fi throughout a space. Mesh systems allow you to get strong Wi-Fi throughout a space no matter where you are in relation to a router. You may think why not use an extender then? You can always use an extender but setup is problematic and they often have a different name to your actual router. They come with the suffix SSID. But under mesh systems that is not there. With mesh systems you connect to the closest device that gives you the best connection and you get Wi-Fi all under one name itself. Why Wi-Fi EasyMesh is Better? With any mesh system you have to get hardware from one manufacturer itself. If you’re already using linksys then you have to get hardware from linksys itself. Where as in Wi-Fi EasyMesh, that is not required. You will be able to use hardware from any manufacturer to set up your mesh system. Wi-Fi EasyMesh is a standard developed by the Wi-Fi Alliance to allow users set up a mesh network using various manufacturer’s hardware and not just one. Under Wi-Fi EasyMesh standard, one unit becomes the controller and the rest are all agents. So, if manufacturers decided to adopt this system then you could use one manufacturers hardware with another. For example, you could use Google Wi-Fi with Linksys to create your Wi-Fi EasyMesh system. Why Manufacturers do not like Wi-Fi EasyMesh? Manufacturers are not so ready to adopt Wi-Fi EasyMesh as yet and here is why. The main reason has to do with manufacturers wanting people to use all of their hardware itself. If you were to use Wi-Fi EasyMesh instead, then you could use two or more different manufacturers hardware to create your Wi-Fi EasyMesh system. This will affect their bottom line. The next point to note with Wi-Fi EasyMesh is that if you use devices form different manufacturers, then upgrading will be a problem. Just think about it, if one manufacturer updates his hardware and others do not, then you have to wait till all manufacturers update all their hardware to update your Wi-Fi EasyMesh.